Quickly increase your earning potential with a fulfilling career in health care as a CNA nurse assistant. This is the opportunity you've been hoping for! "My children get to see their mom helping people through my nurse assistant job, as well as providing for them. And they are excited and very proud of what I've accomplished." As a CNA, you will be an important part of today’s world of health care, with knowledge and skills that are always in demand. The Red Cross CNA Training Program prepares individuals with the information and the experience needed to become a Nurse Assistant who will provide quality care for residents in long-term care facilities, hospitals, home health care and hospice settings. The American Red Cross is the premier provider of Nurse Assistant Training (NAT) and has prepared individuals for work in the nursing field for over 100 years. The program is designed with input from educators, caregivers, and long-term industry representatives from across the United States. Day CNA classes are available in which students learn in a hands-on environment under the eyes of caring and professional nurses, bolstered by a nationally developed Red Cross Curriculum that meets or exceeds state standards. *Based on % of our students passing State exam. 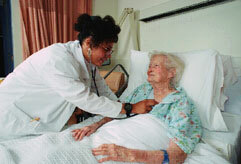 The Nursing Home Reform Act, adopted by Congress as part of the Omnibus Budget Reconciliation Act of 1987 (OBRA '87), was designed to improve the quality of care in long-term health care facilities and to define training and evaluation standards for nurse aides who work in such facilities. Each state is responsible for following the terms of this federal law. The Red Cross Nurse Assistant Training Program helps students learn skills that will enable nursing assistants to provide quality care for residents in nursing homes, as well as supplemental information and skills that will enable graduates to provide quality health care for clients at home and patients in hospitals. Important skills and techniques necessary to be a successful Nurse Assistant. 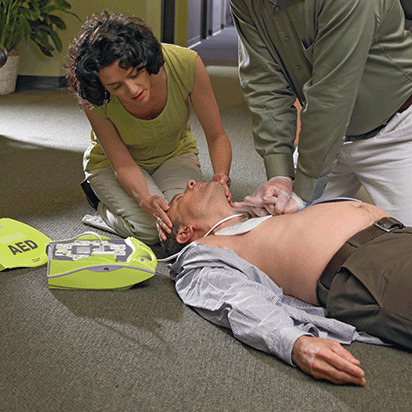 The Red Cross Nurse Assistant Training course has two components. The first part of our nurse assistant training takes place in the classroom. During classroom training, students will learn all aspects of patient care, through lectures as well as hands-on demonstrations and practice. Students are also certified in CPR. Upon completion of the classroom training students will begin the second part of the program which consists of clinical training. During clinical training students will work directly with patients in a health care facility. You will be supervised by a licensed nurse, who is approved by the state as a Nurse Assistant Training Instructor. During your clinical rotation experience you will work side by side with other aides, nurses and medical professionals. You will learn what working as a certified nurse assistant is like every day in a long-term care facility. Enrollment requirements vary from state to state. Follow these steps to start your new career. Provide your contact information by filling out this form. Be contacted by a Red Cross representative. Attend an information session to learn more about the program and enroll. In 2004, there were 1.4 million nurses assistants employed in the US. Nurse assistants and CNAs are employed in a variety of facilities including hospitals, clinics, and home care. The job growth for Nurse Assistants is faster than average, with an expected growth of 20% or more by 2020. A total of more than 300,000 additional employees will be needed. There are excellent employment opportunities for Nurse Assistants across the nation. As the medical field continuously grows Nurse Assistants are on the front lines for providing quality patient care. Becoming a Nurse Assistant is a good idea for someone interested in the nursing field but not sure which path. A Nurse Assistant job will set you on the fast track to a quality career in the medical field. Over 100 years of nursing experience and an industry leader. 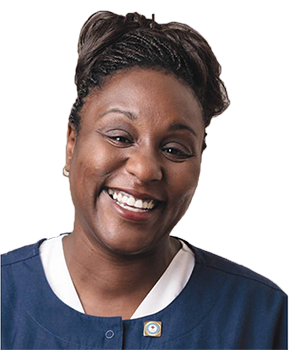 Our NAT instructors are state approved licensed nurses OR Our NAT instructors are state approved licensed nurses (RNs, LPNs/LVNs as allowed by state). Flexible NAT course locations and schedule, including weekends.